Together for the first time, the Guacamelee! One-Two Punch Collection combines the critically acclaimed Guacamelee! Super Turbo Championship Edition and its highly anticipated sequel Guacamelee! 2 into one incredible must-buy package. 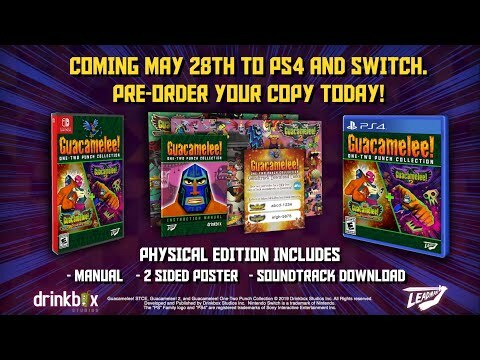 The upcoming Guacamelee! One-Two Punch Collection PS4 and Switch release date is May 28, 2019 in the US and the UK. Notify me when Guacamelee! One-Two Punch Collection is available.